Regina Au will be on a panel to discuss this topic. 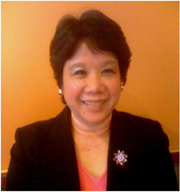 Regina Au will be on a panel to advise presenting companies on their business plans. This event is for women and men within the scientific community (from undergrads to early career levels) who are interested in exploring diverse career options within science. Participants will have the opportunity to interact with 10-15 experienced individuals who will give insight into their chosen professions. The event will be held in a speed-networking fashion with participants switching tables every 15 minutes for a total of 5 sessions. Please note this is a networking event and not a career fair. Register before April 8th for a chance to win a Starbucks gift card! For full information on the conference and to register, click here.